Anheuser-Busch InBev is a multinational beverage and brewing company headquartered in Leuven, Belgium. It is the world’s largest brewer and has a 25 percent global market share. 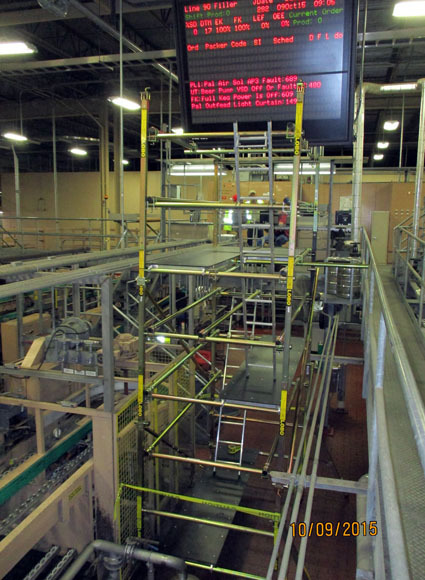 Scaffolding services to this international brewery are provided by an outsource company which costs the plant management significant amounts per year. The managers at AB realize that these costs have to be reduced to ensure the overall plant efficiency but safety cannot be compromised at any price. LOBO Systems’ safe and secure platform product. The unique and patented clamp allows the system to be quickly assembled without the use of tools into any size or shape. 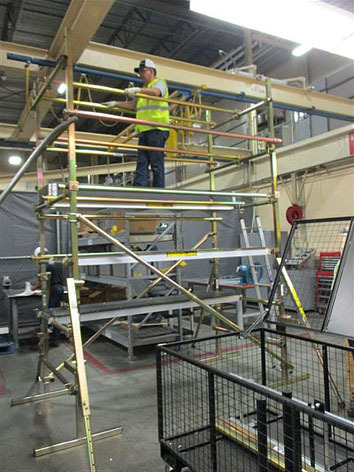 Maintenance engineers can assemble, perform the task and dismantle the LOBO System before traditional scaffolding can be erected. AB have opted to spend their budget on the LOBO Advanced Platform System to perform the maintenance and now own their own system which as 24 x 7 availability. Brewery managers expect to save significant costs by using the innovative LOBO product. This is because they do not have to rely on outsourced scaffolding companies as maintenance personnel can assemble the LOBO System. The unique versatility of the LOBO System brings labour cost reduction, enhanced efficiency & performance. The LOBO System creates a safe working environment, which increases productivity and maximizes the return on investment.